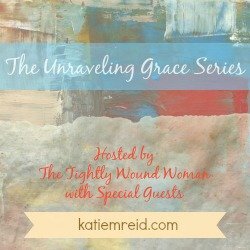 It’s time for another installment of the #UnravelingGrace Series. It is a joy to host the lovely Kate Motaung today. We only live a few hours from each other and were able to connect in real life—so fun! Sit back, grab a cup of Rooibos tea and drink in these words. A month before I turned 21, I boarded a flight bound for Cape Town. My plan was to stay for six months. Two years later, I was still there, speaking vows that wed me to a South African man. Within three years of our wedding day, we had two kids. 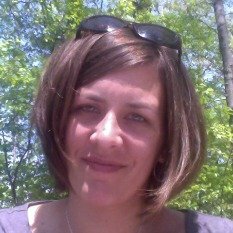 Just after our second child’s birth, my mom was re-diagnosed with cancer. The breast cancer she endured four years prior had returned with a vengeance, and metastasized throughout her bones, lungs and liver. Eighteen months later, we adopted my husband’s cousin, who was orphaned at the age of six. He spoke no English and had an undiagnosed hearing disability. When we got married, my husband and I made an agreement. If it was the Lord’s will, we would spend the first five years after having children in Cape Town, then move to the States for the second five years of our kids’ lives, before returning to South Africa. Shortly after adopting, I was ready to make the move. My mom’s health was declining, and nobody knew how long she had left. I was desperate to be with her. We started the paperwork to obtain a green card for my husband. I went to the U.S. Embassy to register our adopted son and get the necessary documents to make him a U.S. citizen. That’s when I heard the news. U.S. citizens who adopted children in South Africa were required to reside in the country for two full years after the adoption was finalized — a law related to the Hague Convention. We were stuck. Our adopted son would be allowed to visit the States for up to 90 days, but no longer. What was worse, I had to tell my mom. I feared it would break her. She had been holding out for our arrival, and wanted nothing more than for us to be together in the States. I couldn’t change the law. I couldn’t cure her cancer. I couldn’t grant either of our hearts’ desires. So I prayed. Mostly I begged God to protect my spirit from bitterness. Lord, if you take either of my parents before the two years is up, please help me not to be angry. I wanted to stop time and speed it up all at once. The next several months strung together in a roller-coaster of ups and downs. More strains of chemotherapy for my mom until the options ran out. Before the two year mark. Then God did as God does, and gave us the unmatchable gift of being able to spend six weeks in the States. Mom stopped chemo when we arrived. We moved her into a Hospice facility. It was awful. But we were there. And there’s no place else I wanted to be. All too soon, our time in the U.S. came to a close. We had to go back to South Africa. The heartache shredded my insides. I hugged my mom goodbye, knowing I’d never see her again this side of heaven. I walked out of her Hospice room, straight into a public bathroom stall and vomited my grief into the toilet. I had no control over my life or hers. I couldn’t even control the bile that rose in my throat. Six weeks later, my mom died. 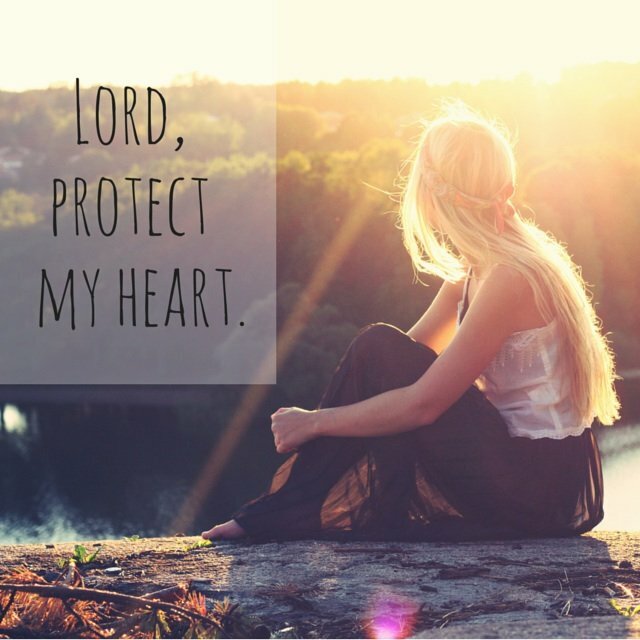 Yet God, in His grace and mercy, spared my heart. He answered my prayer and shielded me from bitterness and anger. He stroked my hair and wrapped His arms around my shoulders and let me cry myself to sleep on His lap. Resting in His care. Trusting that He alone holds the keys to life and death. And because of Jesus, I will see my mom again. — How has God protected you from bitterness when situations are out of your control? — When have you seen God’s grace prevail during difficult circumstances? P.P.S. Don’t miss any of this series. Subscribe by email (in the top right hand corner of my blog) and get posts delivered right to your inbox. Thanks for your ongoing encouragement, Karen! I appreciate you! I know how that lack of control feels. It’s scary and totally unnatural. God is amazing to use our weaknesses to give us his strength. Thanks for sharing this part of your story, Kate. Thanks for reading and commenting, Kristin! Definitely an opportunity to lean into Him, when there’s really nothing else we can do! Oh Kate, your story encouraged me more than you know. Such a sad story of the way you lost your mom, but what a beautiful prayer that your heart would not become bitter. Oh, so hard, Betsy! I’m so sorry to hear you’re going through this. May God truly grant you sufficient grace; may His mercies be new every morning; and may you continue to find your strength in Him. Thank you for sharing. Sorry for your loss. The way you tell your story, I can feel your pain but also your sincerity and faith. That was a very honest prayer. I admire your strength and obedience. Thank you for this encouragement! Blessings to you as you seek to walk this journey to His glory. Oh, have I been there! But how sweet it is to be able to go through it without bitterness! Thank you Jesus! Thank you so much for sharing your story, Kate, and for Katie sharing it. 🙂 God is good; all the time. This helps me remember, as I encourage so many, to keep my mind, heart and eyes fixed on Jesus – Who knows our frames, knows our needs and knows our weaknesses. He is our strength and so much more. Praise Him!! God continue to bless you all richly! Amen! Thank you, Cindy! Blessings to you. Kate, thank you for this beautiful reminder that God does indeed hear the prayers of my heart. I’m so glad God heard yours and just simplt held you in your grief. Loved this post! Thank you, Tara. God is so good, even (and often) in ways we don’t expect. Our family is in a similar season and the days drag by as we wait for God’s hand and God’s timing. Thanks for this bittersweet story. So sorry to hear this, Dayle. May God grant you His patience and peace that passes understanding. Grace to you. Kate, this right here? WHOA! Bless you, Tondra. Grateful for your presence here. Helpful for my heart today. I’m so glad. All glory to God. Thank you so much for your willingness to share your pain with us. Your prayer really touches my heart. I wish now I could go back and ask for God to protect my heart when my son died. It didn’t occur to me to ask and I have battled bitterness, depression, and anxiety as a result of surrendering my heart to the hurt instead of to Jesus. I’m going to remember your prayer and pray it for myself. Thank you. Oh, I am SO very sorry to hear this, Elizabeth. I really can’t imagine. May the God of all comfort continue to be your source of comfort and strength, now and always. Just reading your story today, Kate. I cannot imagine the emotions. Only God can deliver us from the fallout of those layers of grief. <3 I'll be sharing this on my page as well. Thank you, Lisa! Grace and blessings to you!